The television series is based on The Saxon Chronicles (book series) by Bernard Cornwell. They are highly recommended as is the new television series on BBC America (cable tv). Some of the episodes are also available on YouTube. The Plot: The year is 872, and many of the separate kingdoms of what we now know as England have fallen to the invading Danes, leaving the great kingdom of Wessex standing alone and defiant under the command of King Alfred. Against this turbulent backdrop lives our hero, Uhtred. Born the son of a Saxon nobleman, he is captured by the Danes and raised as one of their own. Forced to choose between the country of his birth and the people of his upbringing, his loyalties are ever tested. What is he? Saxon or Dane? 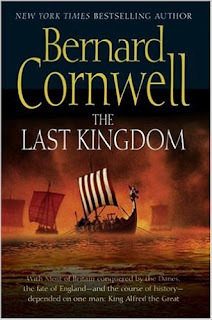 On a quest to reclaim his birthright, Uhtred must tread a dangerous path between both sides if he is to play his part in the birth of a new nation and, ultimately, recapture his ancestral lands. It's on every Saturday night at either 9 or 10 pm depending on your time zone. If you enjoy authentic Viking vs the English films, you will enjoy this one. Highly recommended.